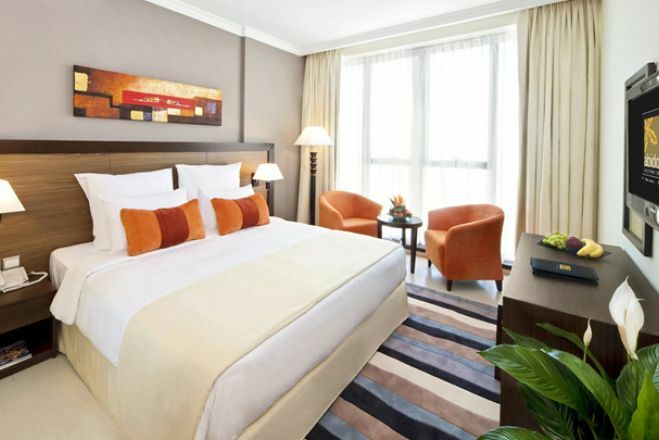 Abidos Hotel Apartment Al Barsha Make your day hotel stay enjoyable and comfortable by booking your day stay at Abidos Hotel Apartment Al Barsha. 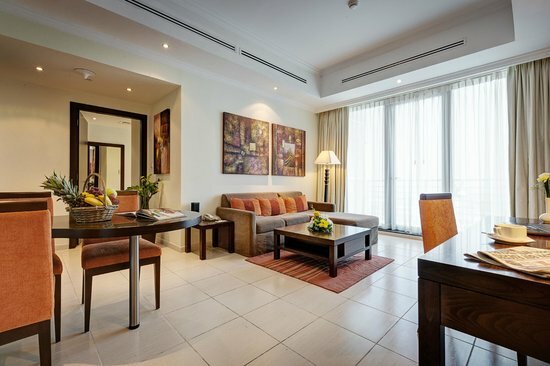 Treat yourself to a day room at the Abidos Hotel Apartment, the quintessence of sophistication. 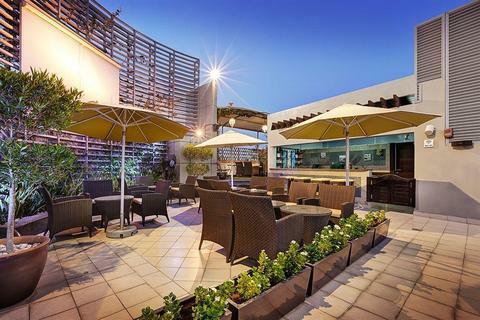 Located in the bustling Al Barsha district, this hotel is steps away from numerous attractions, such as the Palm Jumeirah, the Emirates Hills Golf Course, and the Mall of Emirates, which includes a train leading to downtown Dubai. 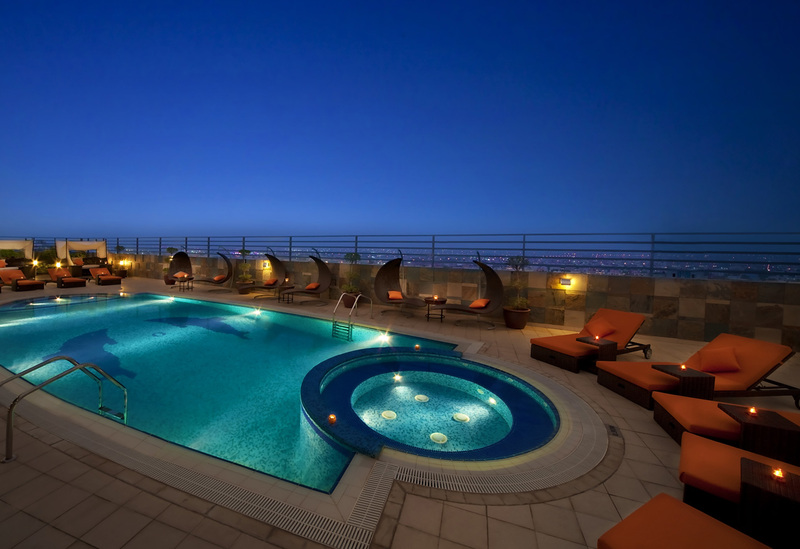 For those seeking relaxation, take a dip in the rooftop pool and Jacuzzi, burn off calories in the fitness center, sweat out toxins in the sauna, and grab a refreshing soft drink from the hotel’s all-day restaurant and café. After a long day of adventure and leisure, order room service and take a well-deserved nap! 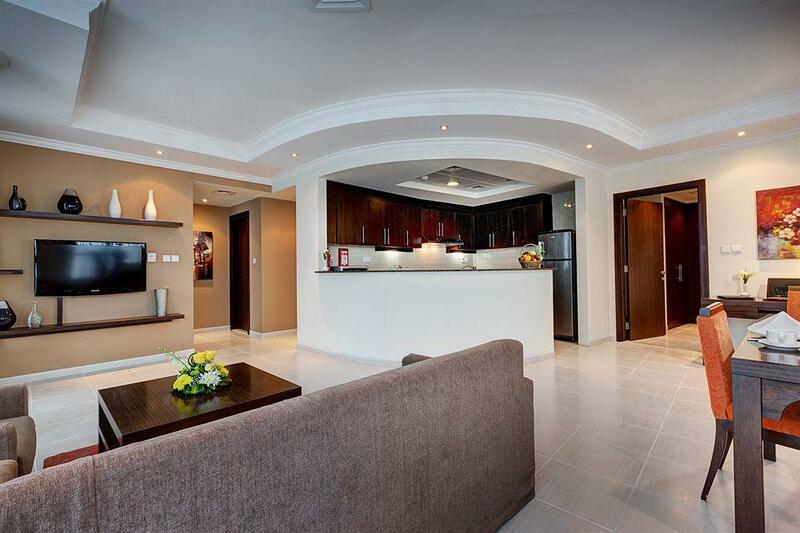 The Abidos Hotel Apartment Al Barsha is waiting for you! 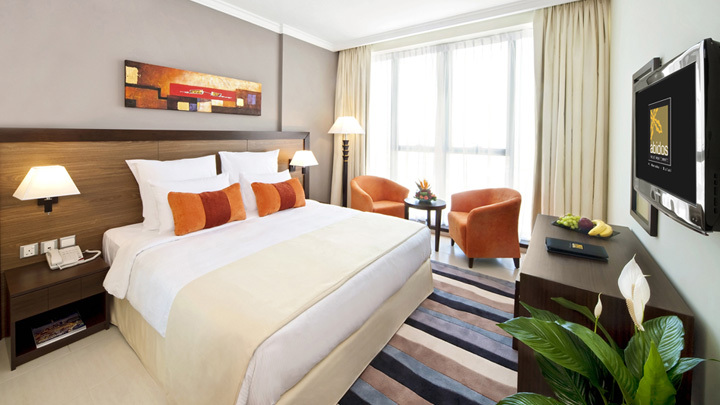 Don’t forget to book your daystay there today! Extreme Water Sports – Scuba dive, and discover the beautiful and serene world underwater. Experience a myriad of flora, fish, reefs, and seascapes first-hand. Extreme Water Sports offers dives at an assortment of dive sites, such as the site on the Musandam Peninsula. Mall of the Emirates - All of your shopping and dining needs are met at the Mall of Emirates, one of the largest shopping malls in the world! At the Mall of Emirates, guests are able to peruse an amazing array of designer stores, entertainment centers, and over 95 food outlets. Ski Dubai - Do you want to learn how to ski? Alternatively, are you a seasoned skier looking to improve upon your skills? The Mall of Emirate’s Ski Dubai, an indoor ski resort featuring an 85-meter- high mountain with five slopes, affords guests with a variety of lessons, interactions with penguins, and a 150-meter- long zip-line. 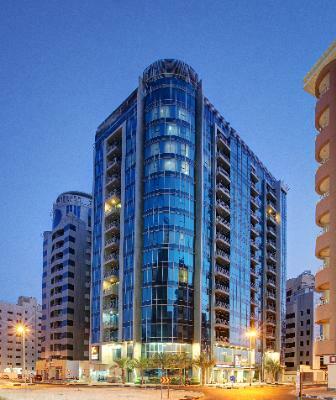 Accessibility - This hotel provides facilities for disabled guests. Free Parking - Parking is available for guests. Reservation for parking is not required. Free Wifi – Do you need the internet to finish work? Utilize the hotel’s complimentary wifi for a productive day stay. Transfer Shuttle - Do you have a place to go, but you don’t have a car? Use this shuttle service, available at a surcharge, to travel, for your relaxing daycation. Laundry Service - Do you have clothes that need to be washed, but you don’t have time to clean them? This hotel affords its guests with a laundry service, upon request.